Salt! Not So Bad After All? For years, we’ve been told that people who consume a lot of sodium (primarily in the form of dietary salt) are at increased risk for high blood pressure (hypertension). Now: The Journal of the American Medical Association recently published a European study that suggests the issue may be more complex than previously believed—a finding that may mean that many of us can safely use more salt. Recent finding: In an eight-year study, which followed more than 3,600 men and women ages 60 and younger (all of whom had normal blood pressure at the start of the research), researchers found that the one-third of study participants who had the highest sodium intake experienced only a slight rise in systolic (top number) blood pressure and no rise in diastolic (bottom number) blood pressure. Those in the highest intake group consumed an average of 6,000 mg of salt daily, which is more than twice the daily recommendation for adults in general. Even more surprising, the research found that the one-third of study participants with the lowest salt intake (an average of 2,500 mg daily) were 56 percent more likely to suffer a heart attack or stroke than the group consuming the most salt. Lower sodium levels reduce blood pressure but also increase resistance to insulin and sympathetic nervous system activity, including heart rate. If sodium levels fall too much, it can damage the cardiovascular system. What does this new research mean for people who are concerned about controlling their blood pressure…and avoiding heart attack and stroke? The results of the European study are controversial—some scientists point out that many of the people with low-sodium intake had pre-existing health problems that caused them to curtail their salt intake. The findings also call into question one of the most basic premises of good medicine—that a low-sodium diet helps prevent high blood pressure, which is itself a significant risk factor for heart attack and stroke. In fact, the CDC urges adults in general to not exceed 2,300 mg of sodium per day (about one teaspoon of salt). If you have hypertension or are among those at increased risk for it—such as adults ages 51 and older and African-Americans of any age—the CDC recommends no more than 1,500 mg per day. As a physician and researcher who has closely followed the scientific evidence on sodium consumption for the past 35 years, I believe this latest study simply confirms that the salt issue is not as straightforward as it might seem. In fact, there have been mixed results from about 15 major studies conducted over the past several years on the health effects of sodium consumption. Roughly one-third of those studies found no association between salt intake and mortality…one-third found that people who consumed more sodium (6,000 mg to 8,000 mg per day) were more likely to die and one-third found, like the new European study, that high salt intake does not increase one’s risk for death. Also recently, a review prepared by The Cochrane Collaboration of existing research involving 6,250 people found that cutting salt intake lowered blood pressure but had no effect on cardiovascular deaths. In fact, lower sodium increased risk for those with congestive heart failure. It’s important to remember that none of this research is definitive—all of the studies are observational, which means that researchers draw inferences about behaviors of people in the general population without creating a controlled environment. This type of research is limited in its ability to reveal a causal relationship between a biological factor—in this case, sodium intake—and a complex condition with many contributing factors, such as heart attack or stroke. Bottom line: Since there is currently no definitive evidence showing that reducing sodium saves lives or prevents heart attack and stroke among healthy adults—and a number of studies suggest that sodium restriction actually may be dangerous to at least some people’s health—there still are many unanswered questions. 1. Sodium intake is not the only factor that contributes to high blood pressure and related ailments. Over the past two decades, the percentage of American adults with high blood pressure has risen from one in four to about one in three—a trend that sodium-reduction advocates blame on our increased sodium intake from processed and fast foods. Problem with this theory: A recent analysis by Harvard nutritionist Walter Willett, MD, based on 24-hour urine samples (the best way to measure sodium consumption), found that US average sodium intake has remained quite steady over the past 50 years, at around 3,500 mg per day. This suggests that sodium is not the main reason for the higher incidence of hypertension and that other factors, such as rising rates of obesity and diabetes—both of which harm cardiovascular health in other ways—may be more to blame. 2. Sodium has many important functions in the body. Most people are well aware of the research suggesting that reducing sodium intake lowers blood pressure—mainly by decreasing fluid retention, which in turn decreases blood volume. What is less well-known is that reducing sodium intake increases insulin resistance, triglycerides and sympathetic nervous system activity, all of which are harmful to the cardiovascular system. Reducing sodium also activates the renin angiotensin system, a network of hormones that controls blood pressure and fluid balance in the body. When this system is activated, it triggers the release of substances that cause the blood vessels to constrict and blood volume to increase—both of which promote increased blood pressure. This explains why blood pressure goes up in some people when they cut back on salt. 3. People react to sodium differently. A significant percentage of people (including many with high blood pressure) are “salt-sensitive”—meaning that their blood pressure reacts more strongly than does the average person’s to increases in sodium. Others, however, are “salt-resistant” and need higher levels of sodium to maintain normal, healthy physiological functions. At present, we have no good way of determining which individuals are salt-sensitive or salt-resistant, though genetics, age, race and body mass all appear to play a role. People who are salt-sensitive tend to have relatively low levels of potassium in their diets, are over age 55, are obese, have hypertension or a family history of hypertension and/or are African-American. Research suggests that there is likely a range of healthy sodium intake that we instinctively aim for in our individual diets—and that if your sodium intake is either above or below this range, health problems, such as dehydration, high blood pressure and fluid retention, can occur. 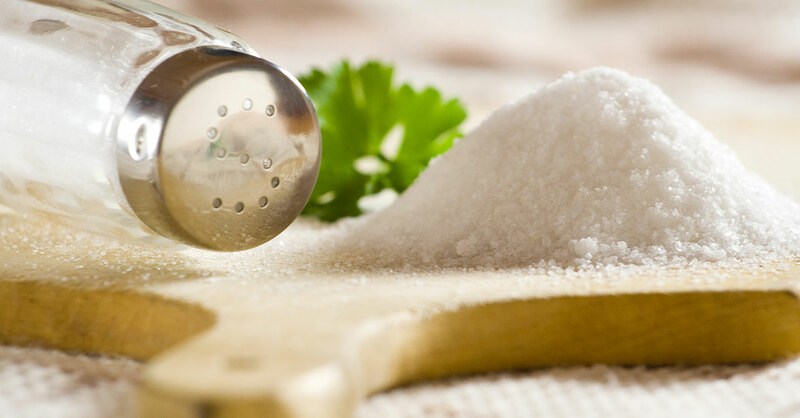 The health risks tend to occur when the kidneys are unable to excrete excess salt (for example, in people with kidney disease), so it accumulates in the blood, causing fluid buildup. This range will vary among individuals—it’s most likely about 2,000 mg to 4,000 mg a day for individuals who are not salt-sensitive—making it impossible to come up with a “one-size-fits-all” recommendation on sodium intake. Very important: There’s enough evidence to show that a low-sodium diet should be tried as part of any treatment plan for the one-third of Americans with hypertension (blood pressure of 140/90 mmHG and above) and the one-quarter of Americans with prehypertension (systolic pressure of 120 mmHG to 139 mmHG and/or diastolic pressure of 80 mmHG to 89 mmHG). But right now, there’s no good scientific evidence to suggest that people with normal blood pressure who are not at risk for hypertension should reduce sodium intake to a certain pre-determined number—this practice may do more harm than good. Ask your doctor what your target sodium levels should be based on your personal medical profile.